All portrait sessions require a $125 non-refundable deposit that is due at the time of booking. Cancellations forfeit the deposit, but rescheduling is allowed if 24 hour notice is given. This deposit then goes towards your package when you place your order. After your session you will schedule a time to review your images with me over the phone and computer in what I call a Virtual Viewing. I will personally talk you through the ordering process, assisting you in select your images and placing your order. We will narrow down the images first and then review the package options and select the digital/print package that best suits your needs. From there you may add a wall portrait if you like. Wall portraits include any print 16x20 or larger that is intended to hang on the wall of your home. Each wall portrait comes with a bonus item. Think of it as a thank you gift for choosing to display your portrait in your home as a work of art! Once your order is placed, it takes 2-3 weeks for your prints to be delivered. I then check your prints for quality control before calling to schedule a time to meet or deliver your order through the mail. From beginning to end the ordering process takes 4-6 weeks from your session date to complete. If you need something faster, just let us know and I am happy to work with you on a tighter timeline. 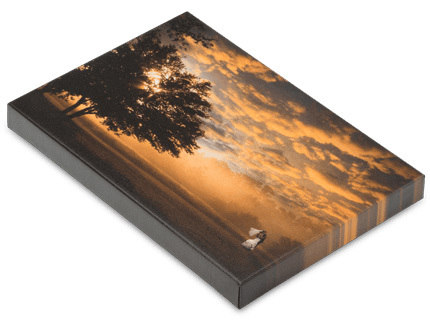 These packages include both digital images and smaller prints. The session fee is included in the price of these packages. Your session deposit of $125 (or $175 for newborns) will be deducted from the cost of the package you select when you place your order. Printed on gallery canvas and stretched on a 1.5" frame with a black paper backing and saw-tooth hanger. Printed on metal with rounded edges and ready to hang with a floating mount already installed.